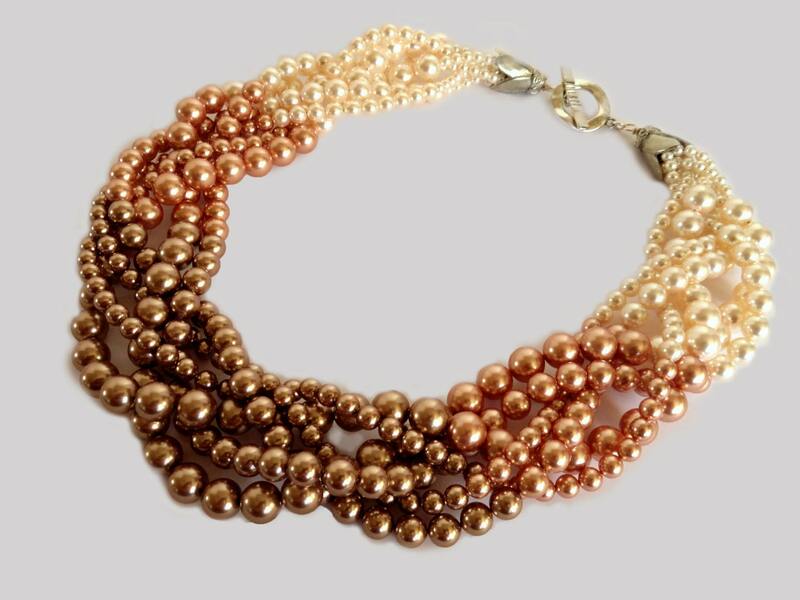 Rich shades of Swarovski pearls are combined in gradient colors for a contemporary look. 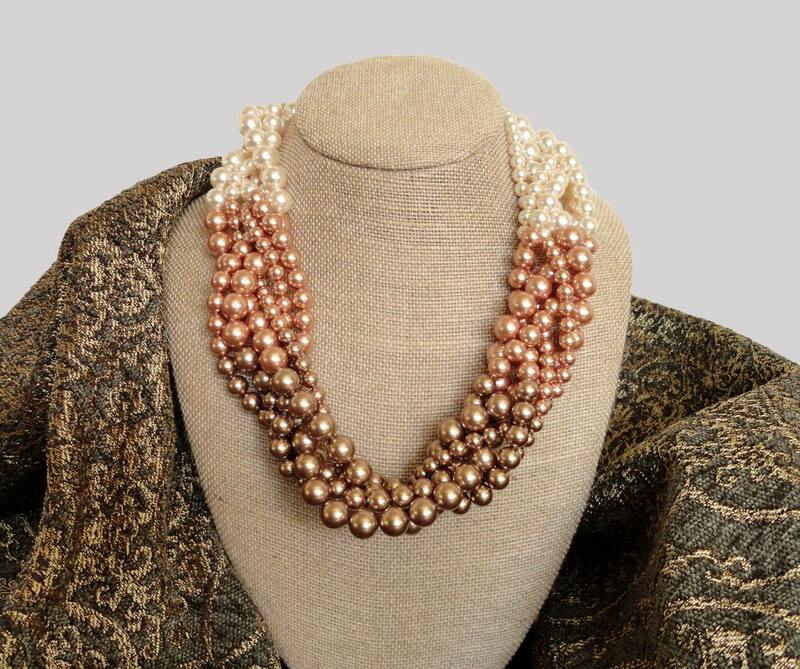 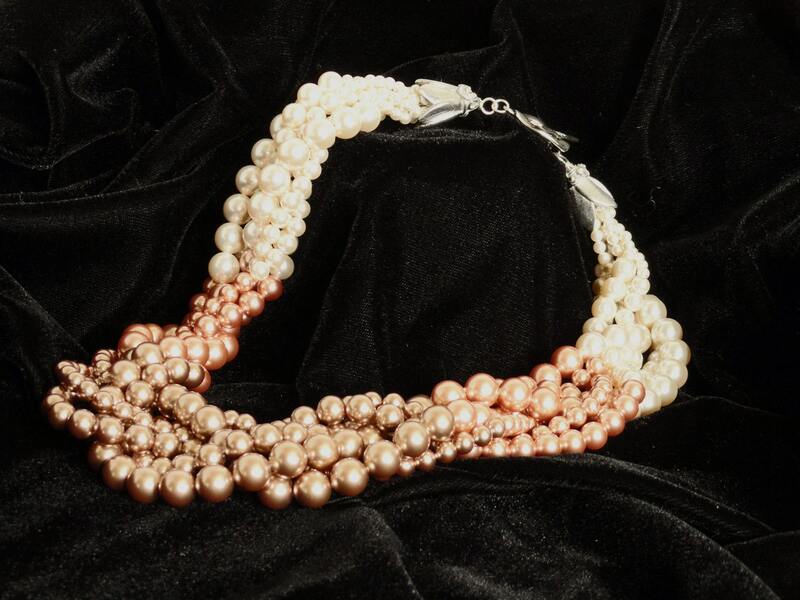 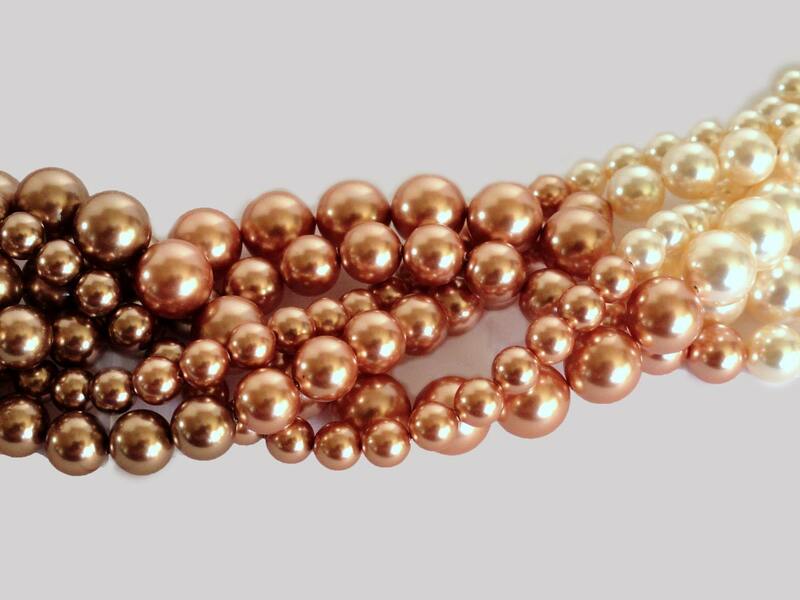 Six strands of various size pearls from light creamrose, to rose gold, to a darker bronze. 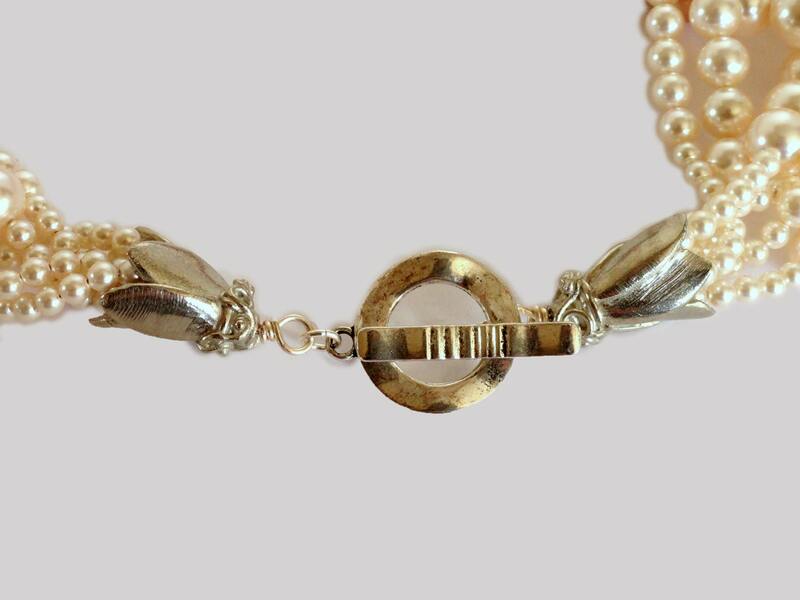 The weight is supported by sturdy tulip shaped end caps and a pewter toggle clasp.